For some reason I cannot fully understand, certain types of serial decompositions of Mueller matrices became quite popular among experimentalists. I am talking about the polar decomposition and the Lu-Chipman decompositions. These matrix decompositions allow to decompose a matrix in a series of a retarder, a diattenuator and, eventually, also a depolarizer. Of course matrix multiplication is not commutative and, therefore, these decompositions are not unique. In general my advise would be to avoid serial decomposition of a Mueller matrix unless you have reasonable suspects that the investigated sample really corresponds to a certain succession of a retarder, diattenuator and a depolarizer. And, as a experimentalist, I can say that this will rarely happen. 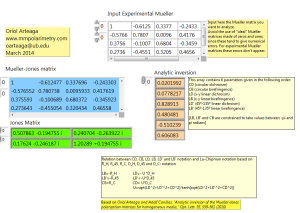 In my view, the decompositions of the Mueller matrix based on a continuous medium have a much more general applicability and they should be the best choice for unknown samples. Some years ago we published the analytic equations find the results straightforwardly (Optics letters 35.4 (2010): 559-561 and Optics Letters 35.20 (2010): 3525-3525). 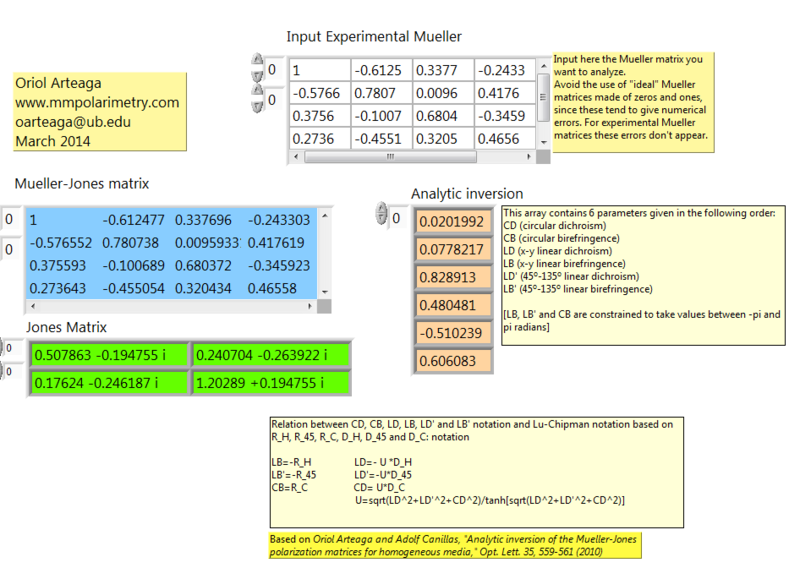 However such equations apply to a Mueller-Jones matrix (non-depolarizing Mueller matrix) and I am aware that some people is having difficulties to apply them to general (depolarizing) Mueller matrix. In the papers that procedure was outlined, but anyway I upload here the code for such calculation, to clarify how the results should look like. **. This analytic interpretation of continuous medium coincides 100% with the Log/differential method of analysis of Mueller matrices for nondepolarizing media, and it is computationally faster and numerically more robust. In the presence of strong depolarization there will be differences among both techniques, but that will be a topic for another day. This entry was posted in Uncategorized on March 27, 2014 by loiro. I took these two pictures last week in the lab. Too amazing for not sharing. These are three Cetonia Aurata beetles showing different cuticle colors. Can you anticipate how their Mueller matrix looks like? This entry was posted in Uncategorized on March 10, 2014 by loiro. 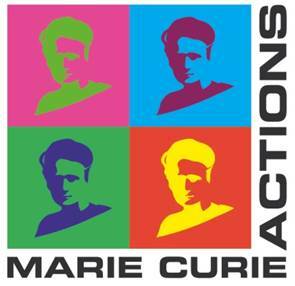 During 2014-2015 I will be working on a European Marie Curie IIF project, titled Polarimetric characterization of natural and artificial chiral anisotropic media (Nanochirality) at University of Barcelona.